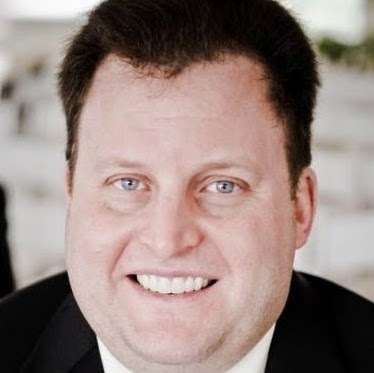 Playing a better brand of baseball also helps Major League Baseball clubs’ social brands, as the much-improved Houston Astros and Colorado Rockies found out in June. The Astros posted the highest growth on Facebook and Twitter, while the Rockies did the same on Instagram. 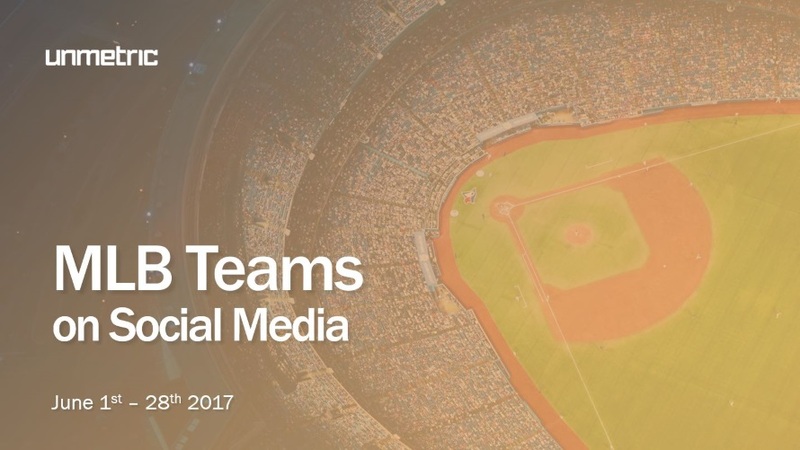 The New York Yankees continued to lead in audience size across the three social networks. 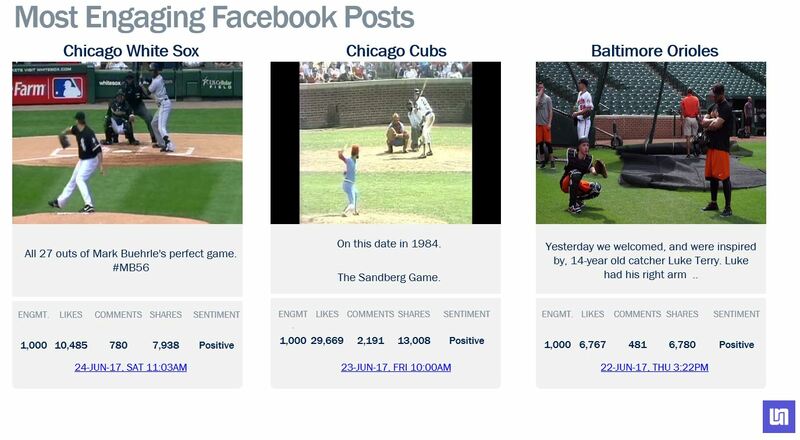 The Chicago Cubs led engagement on Facebook and Twitter, while the Yankees did so on Instagram. The Los Angeles Dodgers had a strong June, as well, leading in Facebook posts, likes and comments, as well as likes and comments on Instagram. 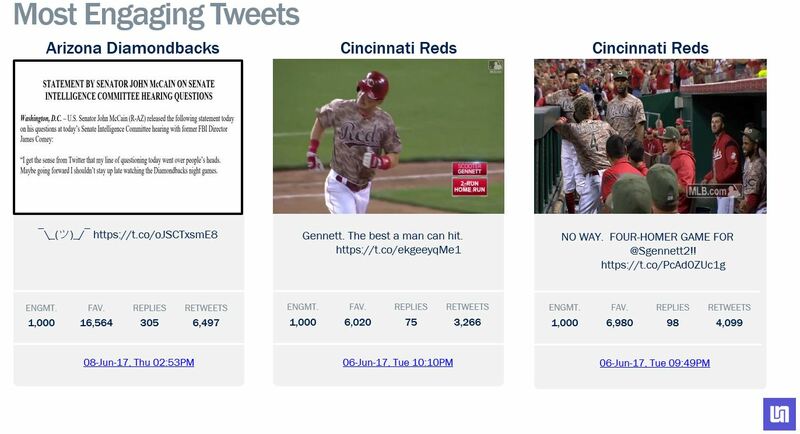 The Boston Red Sox were the most active MLB team on Twitter, but the rival Yankees led that platform in likes and comments. 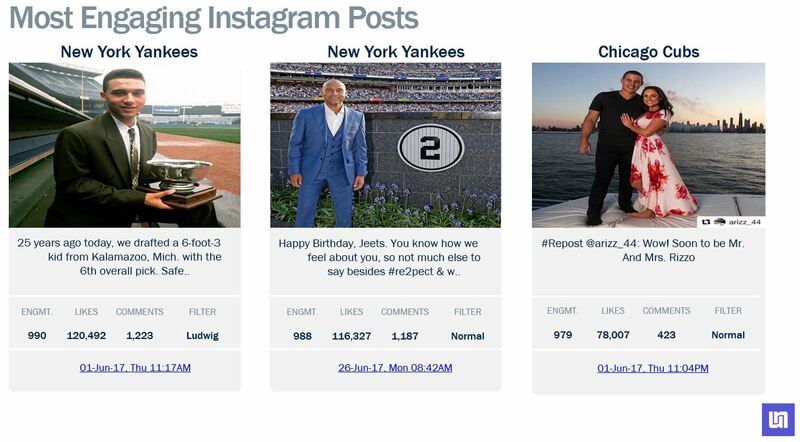 The most Instagram posts by an MLB team in June came from the Oakland Athletics.